Truth is a scary thing. It comes in so many forms, and voices. It shows up at the most inopportune time and often uninvited. It can leave a taste in your mouth and a memory in your mind that can last a lifetime. 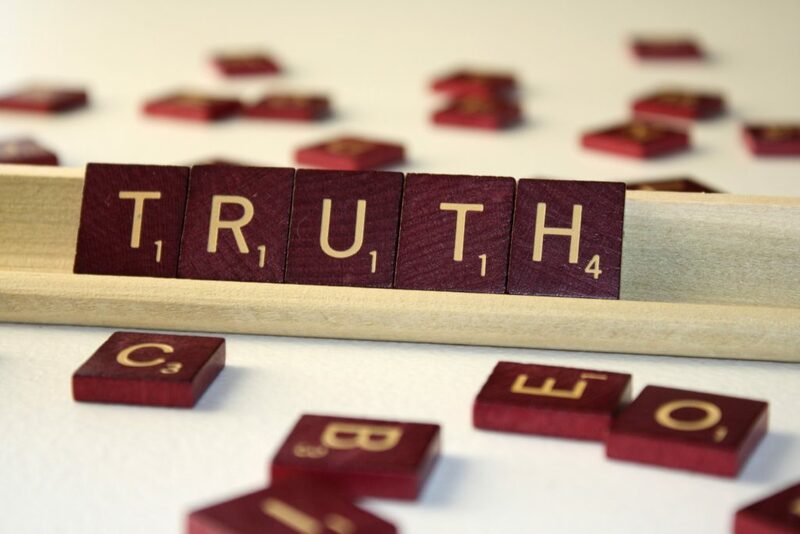 We all say that we value the truth, but if the truth be told, a lie sometimes swallows easier and it can feel warm and fuzzy inside, at least for a little while. The truth is not always warm and fuzzy, and it comes with lumps and bruises. It can weather storms, battles and wars while holding steady. Truth does not bend or break, and it is waterproof, fireproof and time tested. The truth dares you to take it on, and even on trembling legs it is a dangerous adversary. The old saying that the truth will set you free is real. What it does not say is that sometimes you do not want that freedom. You would rather live with that comfortable, safe, lie. It feels okay to keep your head in the sand, and your eyes averted. It is easier for your family, church members and co-workers if everything looks good on the outside; if life moves on with business as usual. Then quietly without so much as an introduction “truth” strolls in and delivers a, take your breath away, blow. The truth, while usually told with few words, can straighten your back, clear your vision, and turn you into a grown man or woman on the spot. The truth ain’t no joke, but it can be funny. Like when your best girlfriend says “girl that dress does not go with any part of your body”. You might get mad for a moment, but you know that she is telling the truth so you laugh, and take the dress back to the store. More often than not the truth is more like a shot of whiskey than a sip of wine. It is what is left when all of the layers are removed. Yeah, it is scary alright, but then again it comes with power. Truth and power go hand in hand. When the truth is the first level of defense then the offense better come strong or go home. When the truth is in harmony it can be sung acapella with every note on key. When truth is in you then you are selective with friends, and associates. The truth is the core of strong families, churches and businesses. The truth can break hearts and mend wounds. It is the foundation that builds hope and gives light during dark seasons. It can find its way home and start over again. It can offer second, third and fourth chances, or it can give you the strength to walk away. Yeah, truth is scary but it proves easier in the end. Well said! The paragraph about the truth setting you free really resonated with me.